Point by Point: So how was your Week 1 go90 experience? 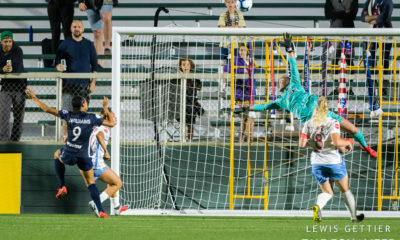 Saturday’s opening of NWSL season number five came complete with the debut of a national game of the week on Lifetime as well as the new streaming arrangement with the go90 app. The Lifetime rollout and execution received rave reviews. The go90 experience? Not so much. 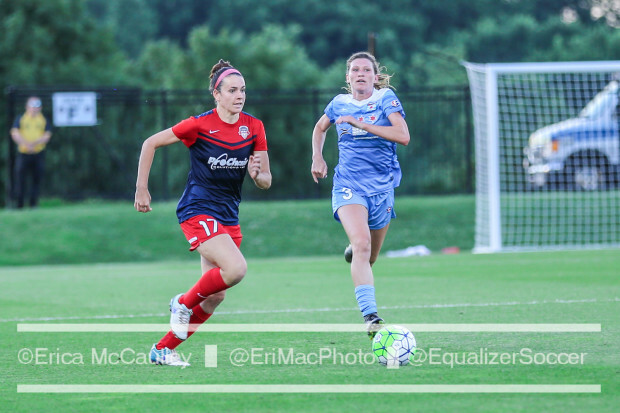 Dan Lauletta and Allison Lee discuss their experiences and the tone around NWSL after Week 1. Let’s start with the good. How was Week 1 for Lifetime? Dan: All signs point to spectacular. The production value was off the charts and they absolutely rolled out all the bells and whistles to make this thing look like the legitimate sporting event that it was. No more of ESPN or FS1 squeezing the match into a spare window, signing on with a quick hi, and then showing the match like it’s an inconvenience before quickly signing off. Lifetime wants to be there and it showed. Allison: Admittedly I am not a fan of pregame shows and usually only tune in for kickoff. Being the first Game of the Week, I was interested to see what Lifetime would put out as far as a pregame show goes, so I tuned in. I have to say, not only was I not disappointed, but I was extremely impressed. Having Julie Foudy and Sunil Gulati both there lent more credibility to the occasion, which, as Dan said, is not something fans are used to for a regular season match. The pregame video package with Allie Long was also a nice touch, and having a commentary crew that knows the game made for a broadcast with very few hiccups. All in all, this was by far the best-produced regular season game the league has ever had broadcast, and I’d argue it was even better than some finals as well. The go90 rollout seemed to have some hiccups. What was your experience? 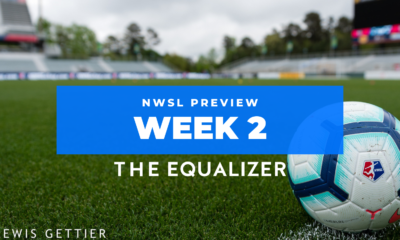 Allison: I’m one of the few NWSL fans who had used go90 prior to the announcement, although only for a couple of games, which I think helped with my overall go90 experience. I knew what to expect, unlike some other fans, so the transition from YouTube to go90 was pretty smooth for me. I did go out and buy a Chromecast so I could cast the games from my cell phone to my TV, which also helped. For the most part my experience on Saturday was fine. I thought the graphics during the match were very professional and a nice addition, and the quality of the streams seemed at least on par with the best quality streams we had gotten on YouTube. I did think the slow motion replays of big plays near goal left a lot to be desired since they were often too blurry and had the ball out of frame due to the tight camera angles. As for Sunday, well…anyone who follows me on Twitter knows that my experience with go9o for the FCKC-Boston match was much different, but thankfully the league and go90 fixed the commercial break issues before the end of the first half. Speaking of Twitter, since there was a considerable lag between the actual game and the stream, I was usually a couple minutes behind the live game. As a result, I had almost every big play ruined for me by social media. Either international fans whose streams were ahead of mine or the team’s Twitter accounts would comment on goals or key saves well before the ever showed up on my screen. Dan: Since the late announcement about this deal did not afford me the time to go out and buy a Chromecast, I was at the ready with my iPad for the start of the Dash game. I’ll be taking whatever measures I can this week to try and never have to use go90 again. For starters, the app is not user friendly. Favoriting NWSL does little good because only newly posted content makes it to the favorites page. Navigating around the app is not easy and if you leave, returning to that game takes you to the start. That wouldn’t be so bad if navigating around the game was anything less than maddening. At one point when I backed up the stream and returned to live action I was rewarded with a commercial. Quality was YouTube standard or better as Allison said but having gotten a look at what the overseas fans are getting on their desktops there is no comparison. The once anxiety-ridden international fans now have the best seat in the house. Allison’s point about Twitter is not insignifigant. Twitter and social media is the lifeblood of WoSo fandom and it would be a shame to chase fans into hiding while matches are going on. But if the streams don’t catch up that’s exactly what will happen. How would you judge the overall fan reaction to the new streaming arrangement? Dan: Building on the answer above, it is interesting that it seems everyone had slightly different experiences whether it be which stream quality or archive access or any number of other things. It is also important to note that if 10 people love something and 10 people hate something, we’re far more likely to hear from the ones that hated it than the ones that liked it. That said, the reaction has not been stellar. If I weren’t covering the games and fully dedicated to a hard follow of the league I would have tuned into the Lifetime game and tuned out of the rest of the weekend. I know some fans have already done the same. That’s a shame. But to actually answer the question, the public reaction has been more negative than positive, and the positive crowd is not exactly rushing in to defend the league or the app. Allison: I think everyone was expecting there to be glitches with opening weekend streams, especially with how close to actual kickoff the streaming deal seemed to be put in place. Some fans were more understanding of those glitches, while others were not, and the fan reaction I saw was mostly negative. 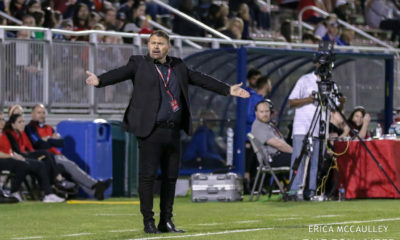 Personally I think it’s a very bad look on the league when fans, players and even NWSL coaches are taking to social media to express dissatisfaction with streaming, as they did during Sunday’s FCKC vs Boston match. 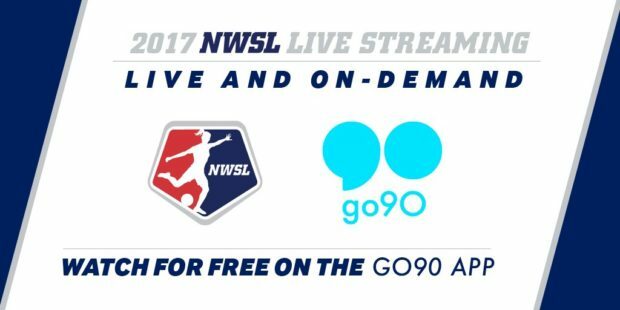 I think most people I know ditched the go90 streams and used a VPN to watch from the NWSL site because of the issues. I have also heard today, a couple days after the first games aired, that fans who were unable to watch all of the games (since some games overlapped and, unlike YouTube, go90 does not allow you to stream multiple games at the same time without multiple devices) are currently unable to access Saturday’s games because they can no longer access them via go90 but they have yet to be archived to the NWSL site. Everything taken into consideration, fans don’t seem thrilled with streaming for the opening weekend. All of the broadcasters for the streamed matches were in Florida. Was this an issue? Allison: Personally I didn’t notice it too much, although there were times you could tell the play-by-play announcer could not see where a play originated because it happened off-screen. Being unable to fully call a play, especially one that results in a goal, is a major flaw of this broadcasting system. Since I have been unable to watch all of this weekend’s matches for the reason given above, the biggest issues I encountered with the broadcasters were them misidentifying players or mispronouncing their names and the sheer amount of commentary given during some broadcasts. I honestly muted one of the games because of how much commentary there was during the game. Hopefully those complaints will fade as the broadcasters get more settled into their new roles. Dan: This is not meant as a slight toward any of the specific broadcasters, and I tend to nitpick a lot where this is concerned, but I could tell and didn’t like it. Allison already touched on misidentifying players or in some cases just not identifying, them which is almost certainly a product of not being on site. There was also disconnect with injuries and substitutions. Can this be fixed? I’m not sure. This far from the only broadcast venture in which the talent is off-site. There are very likely more benefits to the arrangement than drawbacks. And they deserve a few weeks to iron out some of the rough spots. The broadcasters though, were solid for the most part. It’s only been a week, but how do you see Lifetime and go90 impacting the league in both the short and long term? Dan: Short term there has been some damage because the hurried roll out of the go90 platform combined with the inevitable Week 1 glitches has already chased some people away. 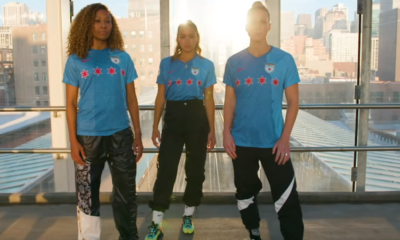 And if the league’s biggest fans have to jump through hoops just for a satisfactory viewing experience, how will NWSL ever attract new fans? Lifetime will serve that purpose so long as they can reach the right audience, but the league went from being the only one in North America to offer all games streaming cost and hassle free to the only one with no ability to watch the (non-nationally televised) games on anything larger than a tablet. Jonathan Tannenwald reported over the weekend that Verizon paid a rights fee to put the matches on go90. I’ll never tell anyone to turn a blind eye at a pile of money, but it remains to be seen if NWSL sold too much of its soul for an immediate windfall. Allison: I’m honestly afraid the two may cancel each other out. The Lifetime bit of the deal was huge and, as I previously said, I thought they did a top-notch job with the Game of the Week broadcast. Hopefully that did bring in some new fans who will stick around and continue checking out the league. Now, will that be as effective during the stretches where we see the same team play over several consecutive weeks? Time will only tell, but I think the Lifetime aspect of broadcasting is not one we need to worry about at the moment. Go90, on the other hand is. The lack of accessibility it affords viewers has already cost the league some of its most loyal fans. Although money coming into the league in return for exclusive streaming rights does help the league financially, I don’t think that’s enough to justify the change to a less accessible streaming platform. As I said in a previous article outlining drawbacks to go90, you can’t grow the game if fans can’t—or won’t—watch the game.